Irishness? What the feck is that? We don’t help ourselves in fairness. St Patrick’s Day. A time for perpetuating the stereotypes. Begorrah, we’ll have a session to be sure. Ah it’s only a bit of craic all the same. Sure aren’t we all just fun-loving little leprechauns? Maybe St Patrick’s Day then would be a good opportunity to take a good long look at ourselves? And not through the bottom of a pint glass. Leaving aside the Paddyisms we put upon ourselves in order to sell aran jumpers and claddagh rings to Yanks, how do we define ourselves in this country? What makes a person Irish? What qualifies as “Irishness”? We’ll start with the alcohol because, well, there might be a grain of truth in the perception that drink is an intrinsic part of our culture. Just a grain mind. Meabh Tobin is a Limerick girl working in Dublin. She’s worked in Spain and Boston, and has seen first hand how the Irish are perceived. She doesn’t think we help ourselves to shed the stereotype of a country fond of a tipple. “The way we give directions… It’s always in relation to a bar! ‘Oh, you know this pub? Yeah well the place you’re looking for is right around the corner from there’” she laughs. But surely our predilection for a pint isn’t the only thing that defines us? There’s a fair few on our lovely island who believe that our Irishness is defined by one thing; our non-Englishness. This is most apparent on weekends like this one. Ireland take on England in Twickenham on Saturday, St Patrick’s day. Beating the old enemy, on their home turf, on the day of our national holiday. Life couldn’t get much sweeter than that. The Grand Slam year. Look, and smile. There’s no doubt that there’s far less animosity directed nowadays at “them across the water”, but there’s still a certain bitterness that manifests itself on sporting occasions. The joy of our nation when England is dumped out of yet another football tournament on penalties is akin to us winning the damn tournament ourselves. Funny that, because on the whole we’re viewed as being quite a docile nation. Not a bitter bone in our four million bodies. The land of a thousand welcomes apparently. Possibly, but depends on who we’re welcoming. It’s a sign of the times that the Pope is loathe to visit this country, when 40 years ago Pope John Paul II received the type of adulation in the Phoenix Park that the recently defunct Beatles could only dream of. Which brings us neatly onto religion. A dirty word nowadays, but the keystone to Eamon De Valera’s 1937 constitution. It’s thought that Bishop John Charles McQuaid helped Dev draft the document that would shape the young republic. Indeed, the Catholic Church’s “special position” was acknowledged in the constitution, “as the guardian of the Faith professed by the great majority of the citizens”. The attitude to sexuality that still remains may go some way to explaining why our idea of romance is so messed up. Not for us a picnic and a bottle of the finest red beneath the Eiffel Tower. That’s for ponces. Sorry ladies, the best Irish men can offer is a beery “shift” in a dingy back alley, where you can look forward to wondering fearfully whether it is part of your partner’s anatomy you’re groping or just the handle of one of the many adjacent dustbins. Aren’t you a lovely cailín? Fancy a shift? On a weekend where we celebrate both a Welsh hostage from yore and Mother’s Day, it is difficult to decipher who is the bigger saint. The Irish Mammy had it hard in the olden days. Fulfilling jobs only lasted as long as the woman wasn’t married or with child. Once either or both of these occurred, the woman was released before she could say “equal rights”. The country was full of embittered housewives, reminiscing on the glories of their past lives in the civil service. The kettle boiled, the baby wailed, but all the house-bound woman could hear was her own voice nagging at her that this wasn’t right, this wasn’t fair. Job prospects aside, there is no one in Irish society with power comparable to the Irish mammy. While she may have had no choice but to remain in the house and rear the children, once they were reared most had an attachment to their mother that couldn’t have been greater if there was an umbilical cord involved. The Mahon Tribunal has cost the taxpayer somewhere in the region of €300 million to date. That money could all have been poured into education if someone had the hindsight to stick Bertie Ahern into a room with his mother for five minutes. He would have emerged chastened, and most likely with his “arse reddened” for him. With a wooden spoon. Because that’s the Irish way. So there you have it. A picture postcard of Ireland that you wouldn’t send your distant cousins in Minnesota. It may be as coherent as a bar fly at midnight on March 17th, but this is our nation and we’re the only ones allowed to criticise it. So let us all raise a glass, and toast the Ireland and the Irish Mammy. Eamon Dunphy called the emerald isle a dump not long ago, and he may be right. But by God, it’s our dump. The Emigration Chronicles: A Personal Note. It started with a class assignment. 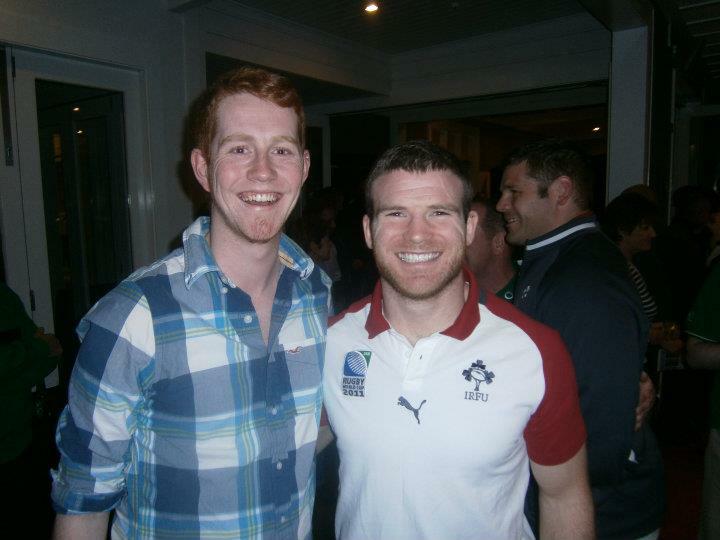 Told to do a feature piece on emigration, I did what any lazy journalism student would. I asked my my friends to help me out via Facebook. The response was overwhelming. Upwards of twenty people got back to me to regale me with their experience of emigration thus far. There was an eclectic mix of stories. Some had prospered abroad, some found the going tough. Many have made themselves a home from home, and will find it hard to return to these shores. Some could not get on a homewards plane fast enough. I could not even begin to tell all of these stories, so I apologise for anyone who I have omitted from the chronicles. It’s a sign of the times we live in that The Irish Times has an emigration blog which is afforded the same billing as their news and sports coverage on their website. Ireland is leaking its youth (and many older people) at a staggering rate. Rural GAA clubs are literally being decimated as their players leave in search for a better life abroad. I was lucky enough that the editor of Generation Emigration, the amazing Ciara Kenny, took one of my pieces for the blog. The rest of The Emigration Chronicles you will find posted below. It is important for those abroad to realise that we at home have not forgotten you. While you may get homesick, we here get awaysick. You remain in our thoughts every single day and we toss wreaths at the feet of Mark Zuckerburg in reverence of the fact that we can maintain contact with you in a way unfathomable even a decade ago. Family Photo. (L to R) Alan (me), Shane, Kevin (kneeling), our friend Kieran, Mike. In August 2010, I moved in with Michael Considine, Shane Clifford and Kevin Bourke for our final year in the University of Limerick. Personally speaking, it was the best year of my life. Now, Kevin and myself reside in Galway undertaking masters degrees while Shane and Mike are half the world away in South Korea. This recession has made maintaining friendships that little bit harder, and has made me realise that the four years we all spent as a giant community or even family in and around Castletroy were that much more precious than we realised at the time. Beneath The Irish Times article, some people have commented that the only reason many of Ireland’s young people leave is for life experience, not because they could not find a job here. That may be a fair point, but fails to take into account the undeniable fact that a chance to escape the nay-sayers and nihilism prevalent in this country is far too tempting for many. If you suffered from Seasonal Affected Disorder, wouldn’t you attempt to drag yourself to sunnier climes for the benefit of your health? In the same way, if you suffer from the recession blues, aren’t you well within your rights to spread your wings and escape? In saying that, I have a deep and profound respect for people like Catriona Delaney. People who see it as their patriotic duty to remain within the confines of this island nation and see to it that it will be a country that emigrants will be happy and proud to return to. You can have nothing but admiration for those with the guts to see out these harsh times and drag Ireland out of these dark times. As for me? It remains to be seen whether I’ll be among those who choose to escape, or among the resolute few who stay behind. The next few months will tell a lot. Either way, like all those I spoke to, I will never turn my back on my country. Like Ross and Rachel, myself and Ireland might take a break. Thanks again to everyone who contributed. And for the love of god do yourself a favour and visit Cian and Suzi’s food blog! Our Quirky Kitchen. Your stomach will thank you. The Emigration Chronicles: From Korea to Castletroy. Shouts carry across the training field. Handpassing drills ongoing. The mandatory fella clad in a Kerry jersey. This could be any GAA pitch in Ireland. Except it’s not. It’s in Busan, South Korea. Shane Clifford always wanted to travel after college. He’s no stranger to leaving these shores behind. After all, he spent six months in Ghana a few years back. One of the many reasons he chose South Korea was because he knew there were three GAA teams in the country. That gave him the chance to play football, a sport he has played for as long as he could remember at home in Renard, near Caherciveen. Good call. He’s now chairman of Busan’s GAA team. Not bad for a lad of 22. He’s playing rugby now too, something he never took up back at home. He came up against Michael Considine in a rugby tournament on St Patrick’s Day. The lads lived together during the halcyon university days in Limerick. Mike’s teaching in Daegu now. The Clareman’s team won. They meet again in the GAA in a few weeks time. Shane does be thinking that revenge will be sweet. It’s not all fun and games however, Shane has a job to do. He teaches English to Korean students. He’s not lacking in experience. Ghana was his first gig, then a summer seeing the sights of Italy while imparting his knowledge of the English language to the locals. Korea then is just another country in which to teach. But it’s not just another country, according to Shane. “Culturally it is a fascinating country and it’s physically beautiful too,” he says. That’s what a lot of people say about Ireland too. Shane is keen to find a silver lining to the recession back home. “People are being forced to move out of their comfort zones and be a bit more adventurous. We were all fierce complacent during our childhoods in comparison to what our parents grew up with. This might knock some sense back into the silver spoon generation. But don’t get me wrong, people are under enormous strain and times are tough. I guess with what I’ve seen as recently as this year in the Philippines, I just find it hard to follow along with the ‘woe is us’ attitude,” says the Kerryman. He mentions the Philippines, because he spent two weeks there just over a month ago. He’s been to Ghana, he’s seen poverty, but he hadn’t yet seen first hand the effect a natural disaster could have on communities. That all changed. He had planned on a two week “piss-up/sightseeing holiday”, but an opportunity to lend a helping hand arose. A few days before he flew out, he stumbled upon an NGO called All Hands Volunteers. They were working in a typhoon hit community in the southern province of Mindanao. Shane spent his first week working with them rebuilding houses, and says that the memories of the construction sites will remain with him long after those of the second week’s waterfalls and restaurants subside. It would be churlish to say that our entire generation has upped sticks and left however. Fiona Hogan and Catriona Delaney are two who have so far avoided the temptation of emigration. They are both undertaking masters courses in the University of Limerick, and both know what it is like to see a sibling walk through the departure doors at an Irish airport and have no idea when they would see them again. While the two girls have both been affected by emigration within their families, they differ in attitude when it comes to the question of whether they will follow suit. Fiona is adamant that she will soon leave these shores. “I have already begun to make plans to follow by brother to New York next January after I graduate. Most of my friends have already left the country,” she says. “I have been in full time education for eighteen years now, and I will refuse to finish and work a menial job. I want to do something with my life. I want a flourishing career and the research that I have done suggests that that is just not possible in Ireland. Eoin is maximizing his life chances in America. He is reaching his full potential professionally so that’s where I will go to do the same. I will not let eighteen years of hard work go to waste in the hands of the greedy and foolish Irish government,” concludes the Caherdavin native. Ireland needs a few more Catriona Delaneys. Canada to Christchurch: The Emigrant Chronicles. It’s a long way to Ballymaloe, particularly if you detour via Vancouver. But the famous cookery school is Suzi Gubbins’ ultimate destination. Five months ago she crossed the Atlantic to Canada with her boyfriend Cian Hickey. Cian had wanted to move to Australia, Suzi to New York. Compromise is a key component of any good couple. They compromised. Vancouver population swelled by two. 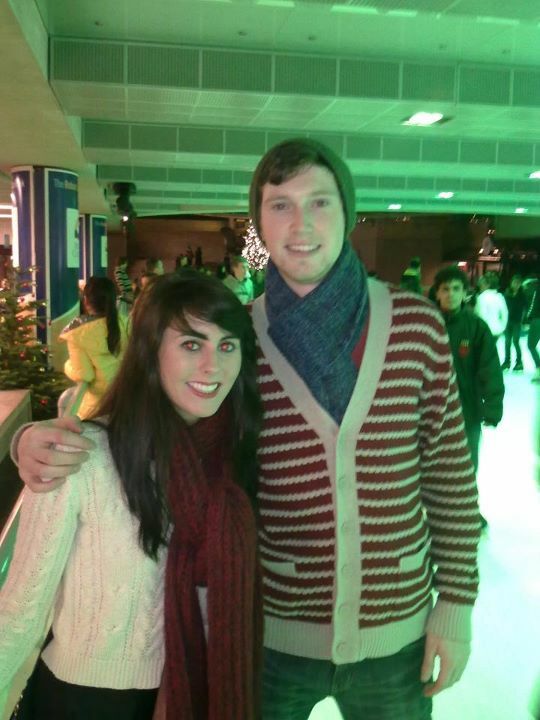 Cian and Suzi in Canada. Both had just graduated from the University of Limerick. “As much as I miss everybody, I would prefer to have a steady job and independence. Something that Ireland doesn’t guarantee right now,”says Suzi. So they took the opportunity to combine work and travel. Their first jobs, like the first jobs of so many emigrants, were in coffee shops. Soon though, they found themselves in at ground level in a property firm (no pun intended). Five months after their initial move, they find themselves promoted, working in the same apartment complex in which they live. Life is good. With work so close to home, Cian and Suzi have plenty of time to indulge in cooking. Ballymaloe may be someway down the line, but practise makes perfect. They’ve even started their own food blog, Our Quirky Kitchen, with which they share their own recipes with a growing number of followers. For two young Irish people recently out of college, their cooking repertoire is far more impressive than beans on toast. The couple found another novel way to ease the homesickness. Hawaii. Knowing they wouldn’t be home for Christmas, they booked themselves a five day trip to Pacific paradise. It was a “beat the January blues trip,” according to Cian. “We were both pretty sad at not being able to go home for Christmas so that was what really kept us going to be honest,” he continues. No sooner had they touched base in Hawaii, plans were being made for another excursion. Vegas. “The night we got back we were talking to our Irish friends who were all going and we were very easily convinced to book our own trip,” Cian admits. It was a fun two days. “The city gives you energy, it’s crazy!” says the Limerick native. Until the planned summer visit, family is accessible via Skype, which Suzi admits she would be lost without. She and Cian plan on working hard, eating well, and enjoying life in Vancouver. The dream remains at the back of Suzi’s mind though. A place in Ballymaloe cookery school, and maybe her own cafe. If the menu is anything like the posts on Our Quirky Kitchen, people will be queuing around the corner to get in. Back in Limerick, people are already queuing up to try Neill Foley’s cocktails. A former housemate of Cian, Neill made a name for himself last year with his Munster Rugby cocktail tribute. He’s not averse to a drink himself, and is a regular feature in the clubs on Shannon-side. However he went missing from the social scene for a few months at the end of last year. He had taken the plunge and emigrated to New Zealand. “I felt this was my opportunity to go do something with my life. I had a well paid full time job [in the Locke Bar], but I felt if I didn’t get out now I never would. The World Cup had a major influence on us going to New Zealand. I suppose everyone in Ireland was heading off to Oz and Ireland had the best rugby team they’ve had in donkeys years so it all made sense,” says Neill, from the Corbally area of Limerick city. Five months of mayhem followed. The Rugby World Cup taking place in New Zealand meant that Irish emigrants who had pitched up in Australia all converged en masse in Kiwi country. The country of the All Blacks was painted green for over a month. Neill will carry the memories of the tournament with him to the grave. Along with the two lads he had emigrated with, Mark Tierney and Anthony Barry, he got a job working for a man who owned a motor home company. First day of work, the owner turns to the three Irish lads. “So how are you gentlemen getting to New Plymouth for the USA game?” He lent them a motor home. For free. They had found the perfect job. The lads were suitably ecstatic. “The guy had known us eight days and gave us the keys to his warehouse worth god knows how much. We all had showers and cracked open three bottles of Export Gold. We put them on the table with the keys of this million dollar business and took the best photograph of the whole trip” smiles Neill. At Christmas, Neill took a chance and went to Australia in search of other work. He hit it at a bad time. “I arrived when all the students were off and they were all looking for part time jobs too.” After a few weeks fruitless job searching, he cut his losses. He returned home. Positivity. A characteristic as potent as any cocktail Neill could devise, and one necessary to get this country back on track. Occupy Dame Street Camp Cleared. Business men and shelf-stackers trudging to work down the Dame Street thoroughfare would be correct this morning in thinking there was something different about the place. Occupy Dame Street was no more. In its place was Coppupy. Build it and they will come. The Gardai, that is. Actually, it’s more a case of build it, refuse to move for Paddy’s Day, and they will come. In their droves. At that time in the wee hours where hundreds of students stagger bleary eyed into the chill outside Coppers, a large contingent of Gardai emerged from the darkness and began dismantling the Occupy Dame Street camp. What was a colourful scene yesterday, a kaleidoscope of colourful tents and characters, is no more. By 7am this morning the only colour to be seen was fluorescent yellow, as a multitude of Guards stood around in their standard issue jackets observing Dublin City Corporation workers powerhosing the plaza where the camp once stood. Ten protestors were on site last night when the operation began. This morning, some of them remained huddled where the camp had stood, illuminated by the glow of street-lights reflecting off the globe-like monument above them. Until last October, that globe was the stand-out feature on the plaza. Since then, it has been demoted, its sole purpose being to provide a pretty backdrop for those taking snaps of the Occupy movement. Those present this morning were, as you might expect, a little cheesed off with what had just happened them. “It’s sad really that this has happened. They wanted to sweep under the carpet any vestige of resistance to what’s going on in Ireland for Paddy’s day so the cameras would not see that there is any form of sign to say that there is something terribly wrong in this country,” said one. Though the camp is physically no more, don’t go writing the obituary of the Occupy Dame Street movement just yet. “We will still use the area of Dame Street as an area to organise from. We still have that right to free assembly,” was the defiant cry of one dislodged protestor. A bike, a cardboard box, a backpack and a handful of dismayed protestors. That’s what Occupy Dame Street amounted to once Dublin Corporation’s army of workers had ceased sweeping and hosing. The tents weren’t the be all and end all however, this wasn’t Oxegen or Electric Picnic. “The Occupy Movement was never about camping,” one protestor said. He pointed out that Occupy Wall Street’s numbers swelled once that camp was dismantled.